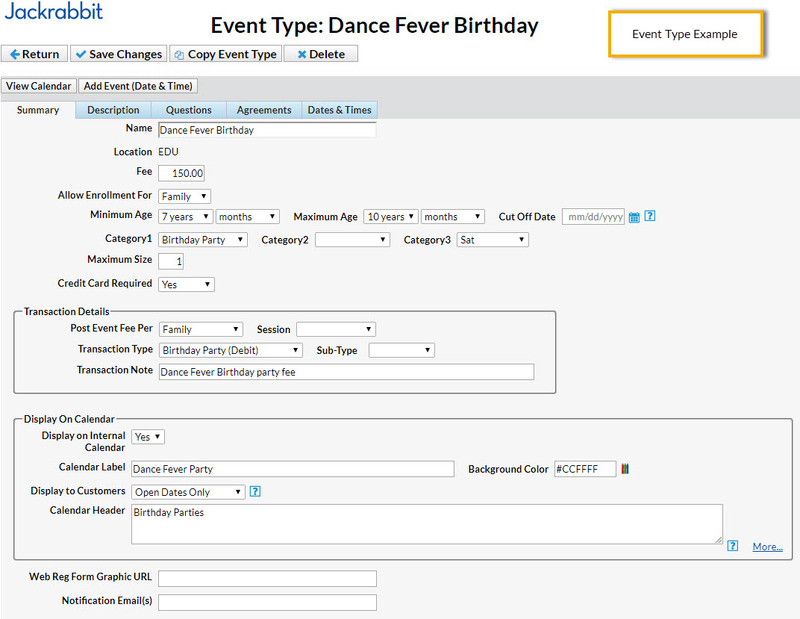 Jackrabbit's Events Management feature is typically used for birthday parties, parent's night out, private (one time only) lessons, open houses, etc. 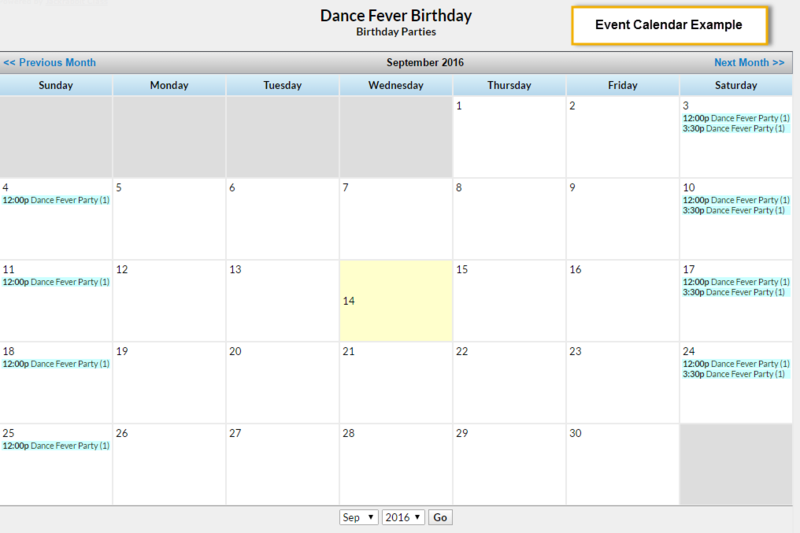 Created events reside on the Event Calendar, and customers can use the Event Calendar to select an event and register. Events are NOT Classes. Events are treated separately in Jackrabbit and on your website, and they function independently from classes. There are seven permissions required to use all aspects of the Events feature. Go to Tools > Manage Users & Permissions to add or edit specific permissions for a user. Events Module: The master control for the Events pull-down menu. This must be checked to use any Event menu items.